It was a cold winter night and keeping awake was a challenge. The excitement of travel was so overwhelming that the sleep was elusive. The Royal Jordanian flight from airport departed at 6.30 AM for Amman. I sat glued to the window and looked down the specs of mountains, streaming rivers and the cotton like clouds drift past as the aircraft flew over, Pakistan, Afghanistan, and Iraq before landing at Queen Alia International Airport at Amman. A quick transit visa and a little later, I checked into the nearby Alia Gateway Hotel.It was in the vicinity of the airport amid sand dunes. I purchased a, City Sightseeing trip and headed to the town. Amman is replete with interesting places like the Roman Amphitheatre, the City Palace, Gold Souk (market), Al Husseni Mosque, King Faisal’s Palace and the Sports Complex .The Roman Amphitheatre can house 6000 spectators and still hosts the cultural events. It was built by Antonius Pius. One cannot miss the sight of the local food stalls serving Mansaf (the national dish of stewed lamb and rice) and Shwarma (huge roasted lamb/goat slices served with pita bread). A nice run in the morning from hotel towards the Queen Alia International Airport was the start of another refreshing day. The road was long, tarred and a clean stretch with sand dunes on either side. There were security restrictions hence I did not venture too far! The flight to Tel Aviv was by a small Royal Wings aircraft. It flew over the River Jordan, parched desert land and took about 45 minutes before descending into the Ben Gurion International Airport at Tel Aviv. One can see the city of Jerusalem and the famous monument, Dome of the Rock clearly from the sky as the flight crosses the city of Jerusalem. The area is also known as the Holy Land, being holy for all Abrahamic religions including Judaism, Christianity, Islam and the Bahá'í Faith. The security at the airport was very stringent and it was interesting to see the local Israeli’s passing through the immigration by hand identification. The drive from airport to the Hotel was about half an hour that was located in a prime city-centre location at Hayarkon Street, facing Tel Aviv's famous beach promenade overlooking the Mediterranean Sea. The evening was spent in watching the sun go behind on the picturesque Mediterranean Sea. Next day the beach promenade was bustling with people and holiday makers as it was a Sabbath. The Israeli girls are very pretty and have the features which are a mix of Asians and Europeans (best of both the worlds!). Besides the clear blue skies and the crystal clear water there are eateries, ice cream parlors and more than a dozen star hotels adorning the beach front. I took a walk to Jaffa town which is about 2 km along the beach. It is an ancient port city believed to be one of the oldest in the world. Modern Jaffa has a heterogeneous population of Jews, Christians, and Muslims. Parts of the Old City have been renovated, turning Jaffa into a tourist attraction featuring old restored buildings, art galleries, theaters, souvenir shops, restaurants, sidewalk cafes and promenades. Beyond the Old City and tourist sites, many neighborhoods of Jaffa are poor and underdeveloped. The Clock tower located in the midst of the town is one of the prominent landmarks. The places is known for the lovely oranges grown here! As the evening approached I moved to the Dizengoff Centre which is the first shopping centre of Tel Aviv. The centre has two cinema halls, many shops, snack restaurants, a Food Market and Fashion Designer’s Bazaar on the weekends. There is a sculpture fountain in the vicinity which has color fountains which belch out fire! This was created by the acclaimed Israeli artist Yaacov Agam. A lot of local people hang around in the evening enjoying ice creams, crepes and Falafel. Caramel Market located in Tel Aviv is a place where a lot of cheap goods, fruits and vegetables, breads and cakes, fish and poultry, cheese , olive oil, spices and seeds, are available. The narrow alley ways make it difficult to walk in the evening. The colorful pepper of about six different shades was something I had not seen before. There are many music shops selling CDs of the folk as well as western classical hits. I visited Shalom Tower in Tel Aviv which is one of the tallest buildings in Middle East. It is 142m tall and has 34 stories and an observatory on the top floor. It is great to watch the folk dances perform on Sabbath at beach promenade. 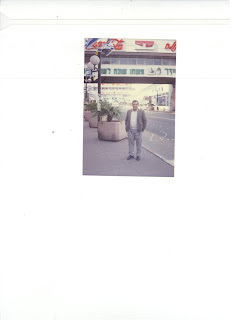 Next on the itinerary was a bus trip to Haifa. Most of the buses are operated by two major bus operators, The Dan and The Egged Tours in Israel. Haifa is the north most port, and is the third largest city. The city is about 90 km away from Tel Aviv, situated by the Mediterranean Sea. It has a mixed population of Arabs and Jews. It is also home to the Bahái World Centre, and is a UNESCO World Heritage Site. Haifa has many malls and shopping centers, among them are Hutsot Hamifratz, Horev Center Mall, Panorama Center, Castra Center, Colony Center and many more. On return trip I saw some Israeli soldiers, mainly girls who were traveling to their locations, smartly attired in their uniforms. This is quite a common sight in Israel. One can also see the Kibbutz en route to the country side. I stopped by the International Diamond Centre near Ramat Gan in Tel Aviv. It is a huge building where one can see the trading of diamonds, understand their history, how these are mined, cut, polished and then valued based on the cut, clarity, color and carat (the four C’s). Next I took a trip to the holy city of Jerusalem and further to the Dead Sea. Jerusalem is located 60 km away from Tel Aviv and a further 35 km away is the lowest point (420 m below MSL) on the earth, the Dead Sea. Jerusalem is one of the oldest cities in the world visited by thousands of people from all over the world, due to its religious significance. The Dome of the Rock, the Wailing Wall are sights which cannot be easily forgotten where the faith has lived as long as the human race. The spot of crucification of Christ and the stone on which the cross was laid still exist. A little further in the city the Holocaust Museum stands with gory images of the torture, gas chambers and the trains which carried the Jews to death chambers can make the strongest hearted people go weak in knees! Dead Sea is located between Israel and Jordan. The water here is nine times saltier than the Mediterranean Sea. It is 67 km long and 18 km wide. It is sunny round the year with dry and arid air with almost no pollution. Bedouin tribes live in this area and I could see some of them in a small camp with camels tied nearby. The town of Jericho is in the north of Dead Sea. Floating in the Dead Sea and massage with the clay / mud, followed with a bath in Dead Sea has a great medicinal value. One has to be careful that the water does not get into eyes as it causes a severe burning sensation. 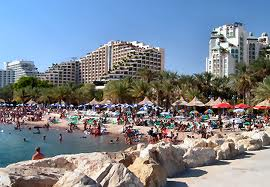 A trip to Eilat was planned for the next weekend. We hired a car for the trip to Eilat. The city is at the south most tip of Israel and is approximately 400km away from Tel Aviv. It is adjacent to the port of Aqaba on the Jordanian side and village Taba on Egyptian side. These, can be seen on a clear day. The city's beaches, nightlife and desert landscapes make it a popular destination for domestic and international tourism. The drive through the Negev desert is an unforgettable experience as for miles one can see nothing but the sand dunes. We had brief stopover at Beer Sheva and Dimona before halting at Timna Park. This place has some of the most wonderful volcanic rock formations and copper mines. The multicolored rocks and small hillocks appear beautiful as the sun rays dance around these adding to the color. We finally reached Eilat and checked in the hotel. After breakfast we checked out of the hotel and reached the Coral World Underwater Observatory. One can see the marine life in its own habitat here. It has simulators, aquariums, museum and stingray, turtles and shark tanks to view these from close quarters. I took a ride in the Yellow Submarine which dives down to 60 m and the glass windows give an opportunity to see the corals, hundreds of multi colored fish and even a sunken wreck. The ticket however costs a small fortune! This is a lifetime experience well worth a visit! Next we went to see the Dolphin’s show at the Dolphin Creek where watching dolphins performing and swimming with the tourists is a great fun. We started our journey back to Tel Aviv and finally reached late in the evening. I got an opportunity to travel up north in the Golan Heights and see the border with Lebanon and the big catchment areas in foothills where the water is stored in summer months as the snow melts! There are lush green fields with crops of Watermelons, strawberries and all exotic fruits being grown here with drip technology. The farthest towns of Metula and Kiryat Shimona in the Golan Heights were the points where the uneasy calm prevails on the Lebanese border where many skirmishes have taken place in past. The sight of a Lebanese soldier armed with machine gun on the other side of the fence was unnerving! Israel has emerged as one of the frontrunners in diamond industry, software development, drip technology, electronic warfare and weapons. A country with iron will, people with golden hearts and smiles is what stays with me when I remember this fascinating country. That took me right back to the time I had visited the country with the L&M a decade ago. I had had to miss the trip to Eilat because I had come down with a bout of migraine. Shouk Carmel was like going to our own Sarojini Nagar Market and the shopkeepers fondly asking about Raj Kapoor was cute! I spent a lot of time in the museums and the beach since I was sightseeing alone with the L&M working :( Jerusalem was the highlight of the visit and it was so wonderful walking the path that the Romans had so many centuries ago :) That was a nostalgia post for me Rahul. Thank you! The details of your narration, even more has increased my curiosity to visit this part of the world because it has been on our TO DO list, enjoyed much Rahul! Rahul thanks for a nice arm-chair tour! There could be no bigger joy than to read this comment that you got a feel of the tour, Indu! You are so damn lucky Rahul. Israel is on my list too. Lucky and blessed on two counts tio have been to these places and to have readers like you who appreciate the post! That's a very detailed and insightful travelogue on Israel. Thks for sharing it. 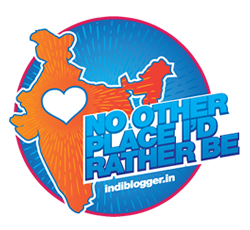 A big thanks Shilpa and it feels good to read that you liked the travelogue! Rahul sir, one more of your fine travel episodes! The hand identification really caught my eye here. Their intelligence is world famous, but indeed now we know why. They seem to particular about so many things. The pictures are beautiful, and the dome looks magnificent. Really there are so many places to visit. This can be used as a detailed itinenary for anyone travelling there. Thank you! I am so humbled Rahul sir, I really am! Arti, coming from you anavid traveler, it means so much:) I do wish you visit Israel, sooner than you expect! I was waiting for this travel blog from you.It is indeed a fascinating country. I am sure we all want to see it someday. You are lucky, and good for you to have visited so many countries. It is a lovely country I am told , but the political unrest is somewhat in the news all the time ..
and Israely intelligence is world famous the Mossad as its called .. Thanks a lot Bikram for your nice comment as always:) Israel gets into news for wrong reasons and I have been there so many times and found the place safer than most of the places anywhere in the world, even during times of crisis! Nice description of your trip Rahul. I fly over there wednesday..
Tanya, I know you have been to Israel many times so you found the post very easy to relate to:) Have another lovely trip! A fascinating account. If only people would stop fighting over there! Wonderful post. I have not visited your part of the world, but would love to someday. Thanks for sharing your trip. Take care. Welcome to my blog Cathy! Hope you trael to this part of world! I enjoyed my vicarious tour of the holy land. I've never been to these parts so it was such a pleasure to read this post. Thank you for sharing this descriptive travelogue, Mr. Bhatia. Thank you for the lovely virtual tour! Wow! The places are so historical. We have all read about Jerusalem, Jerico, Dead Sea but to experience it must be mind boggling. Again, I am so jealous of you :). Wow what an amazing write up!! I really really enjoyed this. I have visited some of the same locations you mentioned in this post- so it was wonderful having my memory refreshed!! Wow! Lovely description. I certainly want to visit it some day. Ummm....your post made it even more fascinating...I wonder how you remember all the trips? Did you maintain a dairy of travels? You should have a photo blog for all of us with all your trip pics...:) another beautiful journey you have taken us..thank you Rahul. What a fabulous read, Rahul. 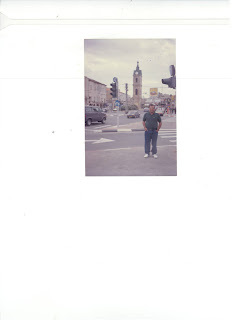 Sury has lived in Israel for some time and has great things to say about it - but nothing as comprehensive as your post. Thank you so much. You really must consider turning your blog into a book! A huge thanks Vidya for that nice compliment! I feel honored:)I hope your best wishes work to make this blog into a book one day! I love reading your stories Rahul! Thank you Francesca for liking this one! Hi Rahul, this is such an interesting description of the country, I had actually no idea how much of a tourist spot it could be! 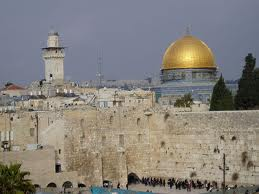 I've only ever been to Jerusalem and I was in complete awe and the history and vast culture. How long ago were you there, were things much different than they are now? 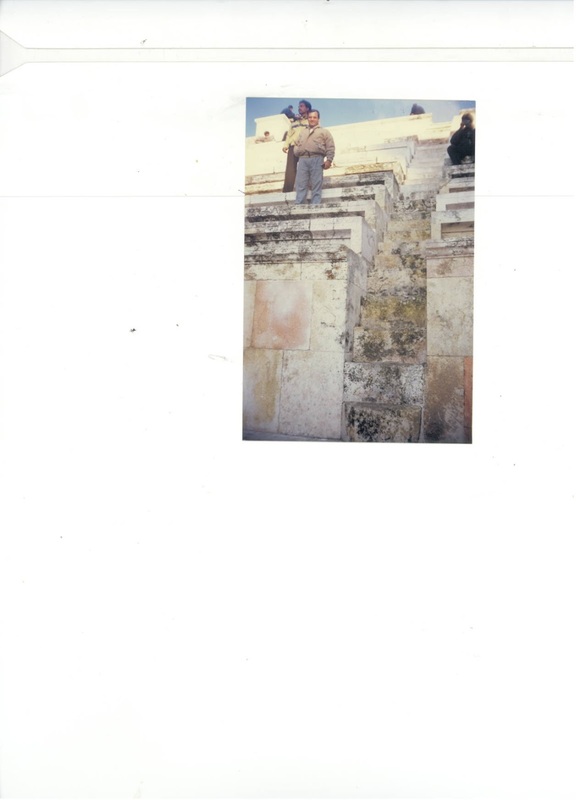 Thanks for your reply...it was about 5 years ago, it was really difficult to get into the city with all the trials and civil warfare, but what was really amazing was the Dome of the Rock and the Church of Nativity...they both trumped the fashion, lol! Is there any place on Earth that you haven't visited? And I must congratulate you on your fabulous memory. That was a good one Purba:) Honestly, there is so much to see that one life time is too short... Wish I could see more! !Thanks for taking time off to read! Nice post, Rahul! Israel is a beautiful place and thank you for sharing a lot of information about the place. I am very happy you liked the post Eden! That is so kind of you, Jerly:) Thanks a lot! You are one lucky person who gets to travel to such lovely places....I wonder if I will ever be able to go to Israel.Golan heights, watermelon fields, diamond center.....all sound so enchanting. Indeed lucky, Alka and luckier even now, that you took time off to read this ! A huge thanks for ever being supportive to my writing endeavors:)I wish you travel to your dream destinations soon! Wow... what an eloquent description of a place that's not on everyone's travel card. I loved the details and they are so informative as well. 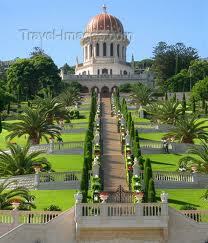 Thanx for this one Sir.. Bahai temple- Iwish to be there as I have been fond of Bahai scriptures..
Wow, you're so well-travelled! Thanks for this beautiful, informative post! Indeed I am very fond of traveling! You guessed right and it was a deadly combination of job and travel which took me to some of these lovely destinations besides the travel bug which bites me:)Am honored with that beautiful comment of yours, Valli! Wow! Interesting travelogue… the narrative is enlightening with facts and gives a perspective on the cross country. You hold lot of memories Rahul! Thanks Zuzana for liking the travel account! A sincere thanks Sharmila for that comment:)Am happy that am able to entice you to travel! 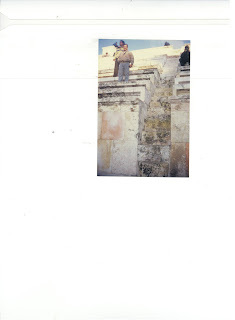 Yes indeed a lovely place to see and the stone where Jesus was laid gives chills when you touch it! !Thanks a lot! Hi Rahul so great to hear from you while you're on route, hope you have a safe journey. Epoch electronic Aircraft weighing kit is designed primarily to cater the accurate weighing needs of aircraft and aerospace vehicles, but can be used for other precision weighing application as well as for the calibration of force generating machines. Hope you had a great trip. Am waiting to hear all about it. Great one, indeed! Rachna, I too await to know the details of your recent holiday:) Hope you had a great time. needs far more attention. I'll probably be back again to read through more, thanks for the info!